A GPS, especially ones made for motorcycle use represent a significant investment. You want it to last as long as possible but nothing lasts forever. When is it time to replace an old GPS? We’re going to discuss how to potentially increase the useful life as well as when to replace an old GPS. Don’t run out to buy a brand new motorcycle or car GPS before reading this through because there might be an easy fix. Software can be upgraded, maps can be refreshed, and sometimes hardware can even be fixed. We’ll show you how that’s done. If you are reading this article, it’s likely a result of the question posed in the title. 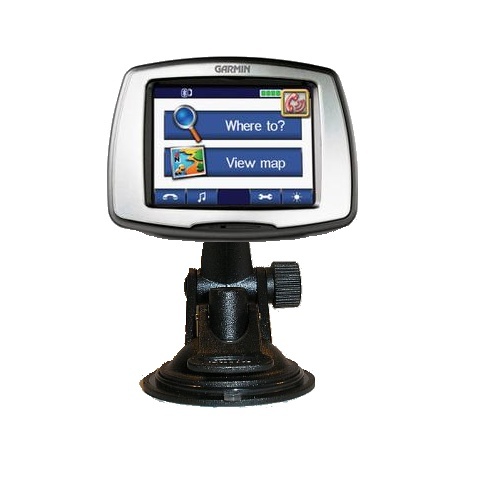 Depending upon why you’re asking that question, it may not be necessary to replace an old GPS. Old maps can be upgraded. If it’s a Garmin GPS with the letters LM as part of the model, that means you have access to lifetime map updates. For example, the Garmin Zumo 595LM includes free upgrades for the life of the device. If your GPS doesn’t have lifetime maps, you can likely update them for a fraction of the price of a new GPS. That’s especially the case of a motorcycle GPS like a Garmin Zumo or TomTom Rider. If it’s a car GPS, it might be cheaper to simply buy a new GPS. Details are normally available on the manufacturer site of how to purchase the upgrade. It’s often transmitted directly to your PC for an upgrade to the GPS. All that’s needed is a USB cable and a port on your PC. A failing mount component is easy to replace, and again, much less expensive than a new GPS. The RAM Handlebar / Clutch Mount with AMPS Adapter is the most common and probably best for most motorcycles. The 4 holes adapter fits the back of most Garmin Zumo or TomTom Rider manufacturer cradles. The mount includes attachments for the handlebar and clutch. Sometimes the powered cradle that comes with the GPS fails. Easy to replace. That’s especially the case with Garmin where old parts are easy to find. For example, on the Garmin Zumo 590LM and 595LM, consider the Garmin Zumo Motorcycle GPS Mount which isn’t really a mount, but a powered cradle with the barewire cable. If your current cradle is no longer functioning or the barewire isn’t working, no need to buy a new GPS. Just get a replacement cradle. Getting even older, a brand Garmin Motorcycle Power Cable for Zumo 550 500 450 400 is still available, almost ten years after the GPS was introduced. It’s good to see a manufacturer support their older models with new parts. Shows commitment to preserving a large customer investment. Old TomTom parts are harder to come by, especially in the United States. While parts for the TomTom Rider 400 are easy to find, that’s not the case with the older Rider models. A lesser known service for a broken GPS is the Garmin Out of Warranty repair service. Garmin will overhaul some of their GPS models for a fee. As of the date of publication, they charge $160 for repair of a Garmin Zumo 595LM. Same story with a Garmin Zumo 660. However, some models are so old even Garmin will not repair them. An example is the Garmin Zumo 550. This was introduced almost ten years ago. I suppose components are no longer available. TomTom offers a similar service although it’s not well documented online. Contacting their customer support is recommended. If your issue isn’t one that can be easily corrected with a map upgrade or new accessory, then it might be time to replace the device. Broken hardware is a good reason to replace an old GPS. This is especially going to be the case if the manufacturer no longer offers a repair service. If the unit no longer powers on, and you are certain the issue is not the cable or cradle, it’s likely the right time for a new GPS. A broken display screen is also a good reason to replace the GPS. try to see if Garmin or TomTom will repair it first but if it’s very old, it’s time to move on. Age is another factor in determining if it’s time to replace the GPS. Generally speaking, GPS capabilities haven’t changed a lot over the past five years but if the device is older, it might be time for a replacement. An example of a really old GPS can be seen in the attached photo. That’s an old Garmin Streetpilot C550. If you have one of those, it’s time to move on. Features such as live traffic feeds and smartphone integration are nice features to have and worthy of consideration. Like a smartphone, where it makes sense to upgrade every few years, a GPS should be replaced after a while too.